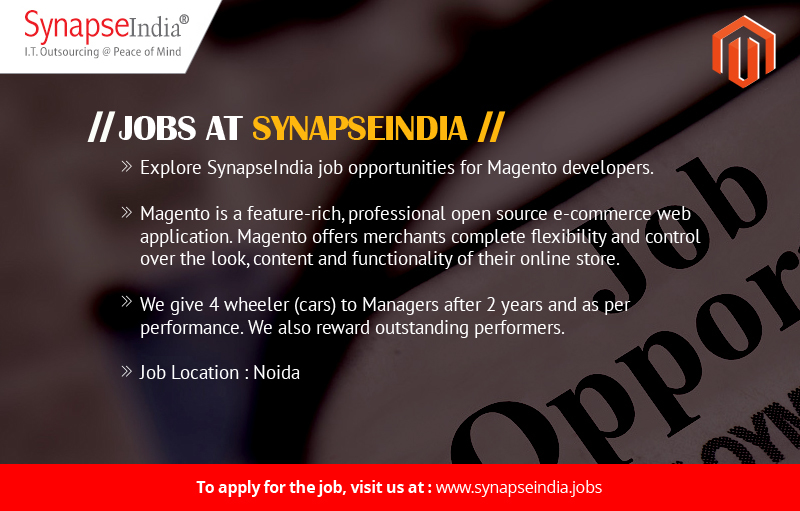 Explore SynapseIndia job opportunities for Magento developers. The job location will be Noida. Magento is a feature-rich, professional open source e-commerce web application. Magento offers merchants complete flexibility and control over the look, content and functionality of their online store. We give 4 wheeler (cars) to Managers after 2 years and as per performance. We also reward outstanding performers.